If you follow me on Instagram or Facebook, then you know I went in on the 28th for a cut and some color! I meant to update you all on this daaaaaaaaays ago, but life has a way of getting in the way. Honestly, I haven't written anything here on the blog since October 25th -- I didn't realize it had been that long. On Monday the 27th, my sister gave birth to the newest addition to our family -- Ian Michael Charles Brown. He's the cutest little/big thing ever (he weighed almost 9lbs and was 22 inches long at birth). While she was in the hospital and my brother in-law was by her side, I had to step in auntie style for my 10 and 3 year old nephews. We had a blast, but they wore me out! So much so that as I write this, I'm battling the ickies. On Tuesday after dropping them off at school, I headed over to Devachan Culver City to be a hair model for their master class. 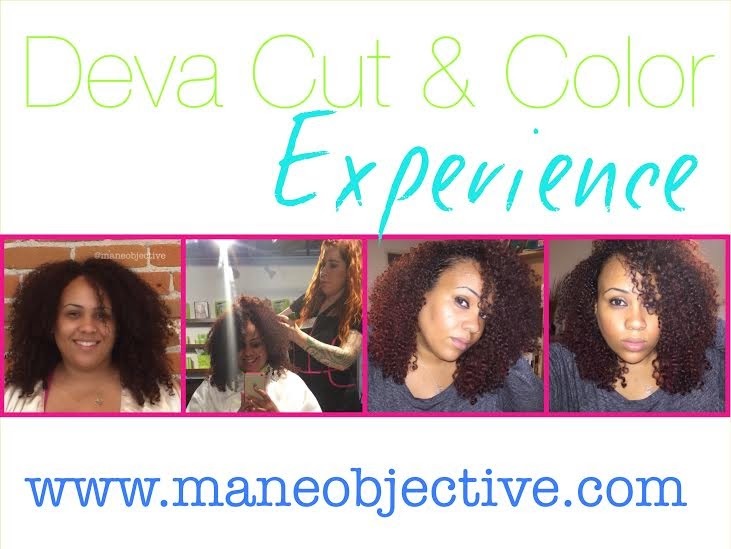 The opportunity called for a free cut, color, and Devachan products. I had only been to Devachan once before -- last December for my chop by the super fab Sergio. This time around, I had no idea who would be working with my hair. As it turns out, I would get some amazing work done by the super awesome Carleen Sanchez. The master class cut was pretty much identical to my first experience at Devachan. Carleen did a consultation with me, and we discussed what I wanted. A few weeks ago, I thought I wanted a drastic cut and some bangs. But as I got closer to the date, I realized I just wanted to take off a few inches to maintain the shape of my original cut. Carleen obliged, and totally made me comfortable in her ability to deliver what I wanted. 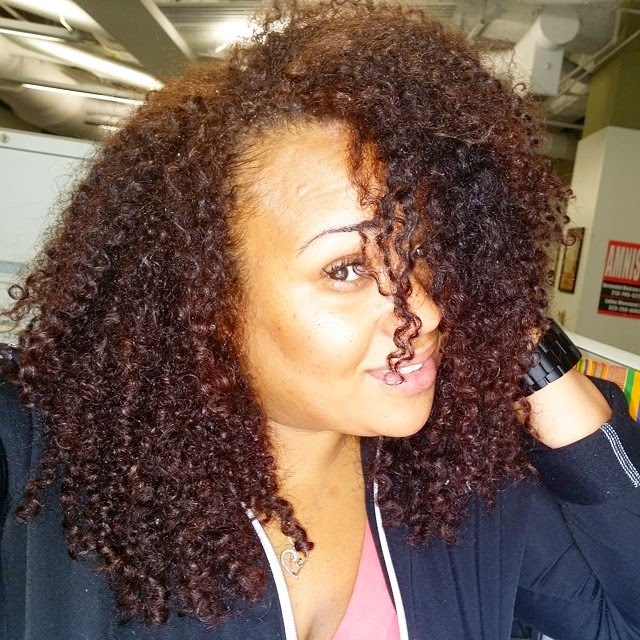 After explaining the cut and color I desired, Carleen worked her curl artistry magic using the Devachan method. 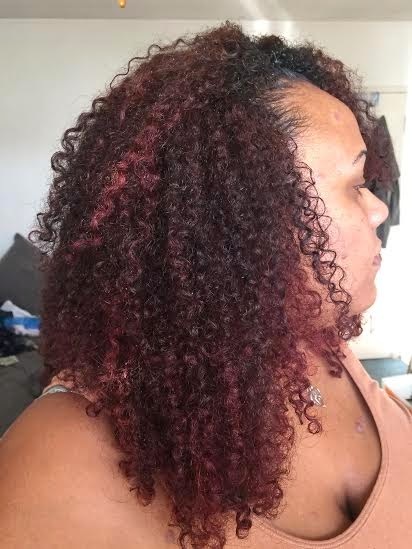 I received the acclaimed dry curl-by-curl cut, followed by a custom color highlight job. While most ladies in the master class wanted blondes and browns, I leaned more toward red -- for a few reasons. 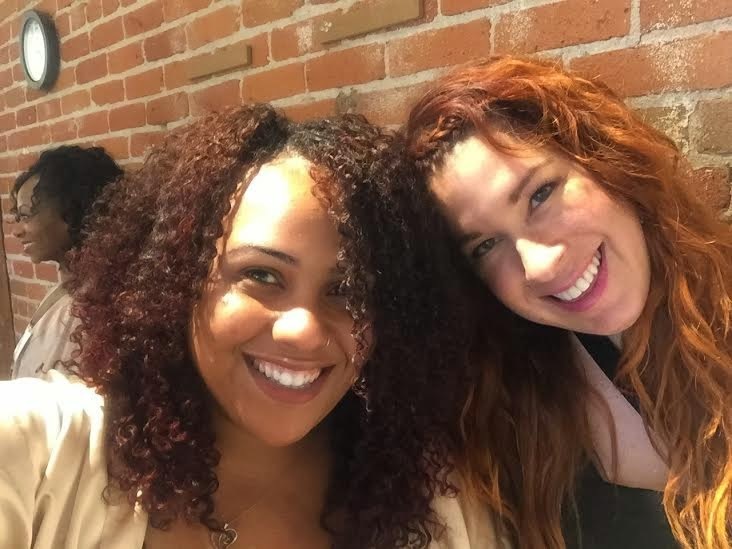 One, I've still got some of that auburn Garnier color in my hair, and I didn't want to do anything too drastic that would wreck my curls (like blonde). Two, I henna -- and henna is red. Red on red = red, so no issues there. Lastly, I just think red is a fun color. At the end of the day, I didn't want anything drastic, just something a little different. As far as the amount of hair cut is concerned, the most that came off was about 3 or so inches. In the front, Carleen took off less hair, as it is shorter and more shrinkage-prone. 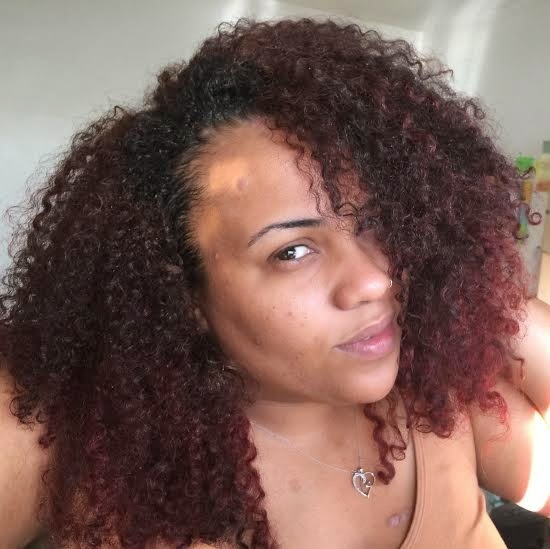 This is one of the major benefits of getting a Deva Cut -- cutting the hair dry in its natural state means no surprises, and no "oops, we cut too much". At any rate, I ended up sacrificing some length for volume -- which is exactly what I wanted. After my cut and color, it was time to wash and style. 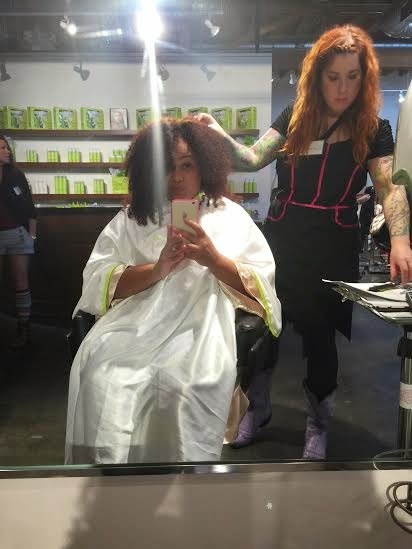 Carleen cleansed my hair and gave me theeeeeeee most heavenly scalp massage (you know these things feel a bajillion times better when someone else does it) with Deva Care No Poo (with the white label), and conditioned me with Heaven in Hair. 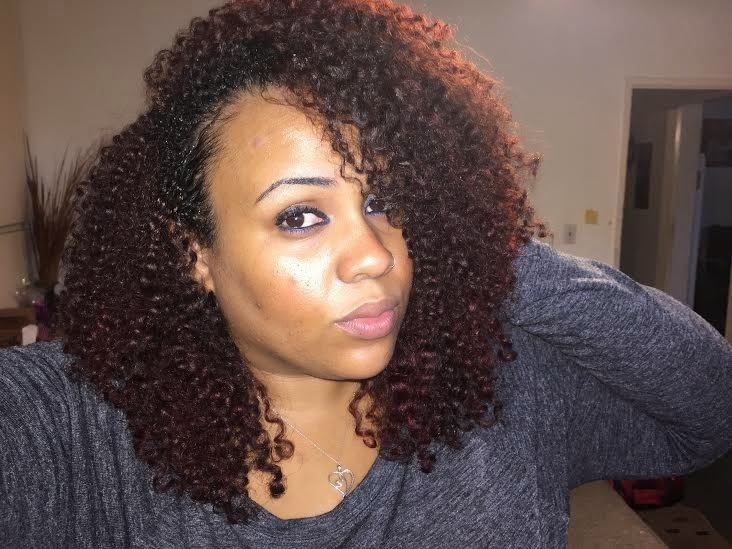 To set my style, she left some Heaven in Hair in, and applied the Deva Curl Styling Cream on top. After styling my hair soaking wet at the sink, I sat under the hooded dryer until my hair was about 75% dry and then got it finished off with the Devafuser. 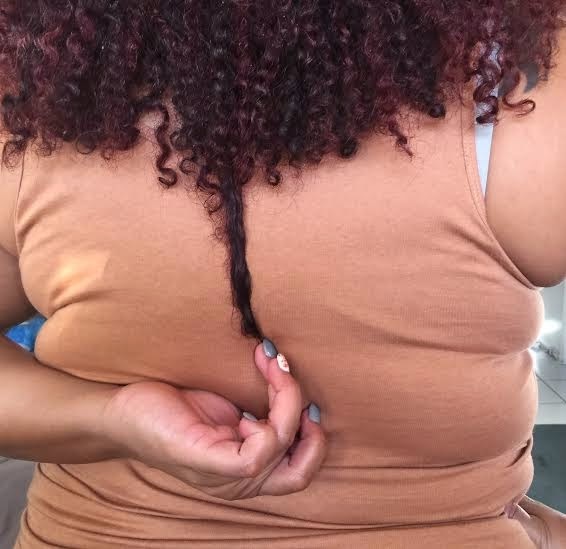 Before my cut, my hair was below the bra strap, which made me mid-back length? I think? I'm never too sure about these things. After my cut, I'm at or just above bra strap length. Don't mind the rolls, I'm workin' on em. I'm thinking about doing some sort of optimal care/protective styling challenge this month and through December. Let me know what you guys think! If you're in/around the Reno, NV area be sure to look up Carleen Sanchez at Hair Cut Color & Design!!! Word on the street is she has a waiting list, but her services are well worth it! getting one on Tuesday. 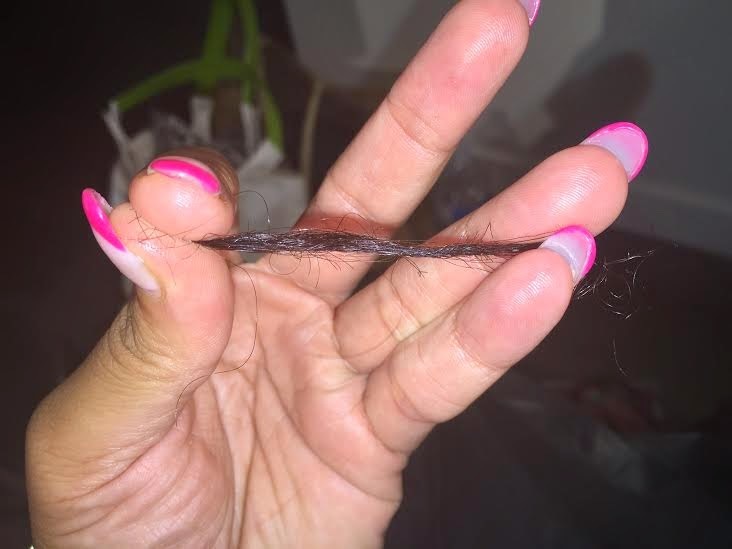 How old was your wash n go on the day of the cut? Nice cut! Congrats on your nephew...my 8 yr old is an Ian Michael too! 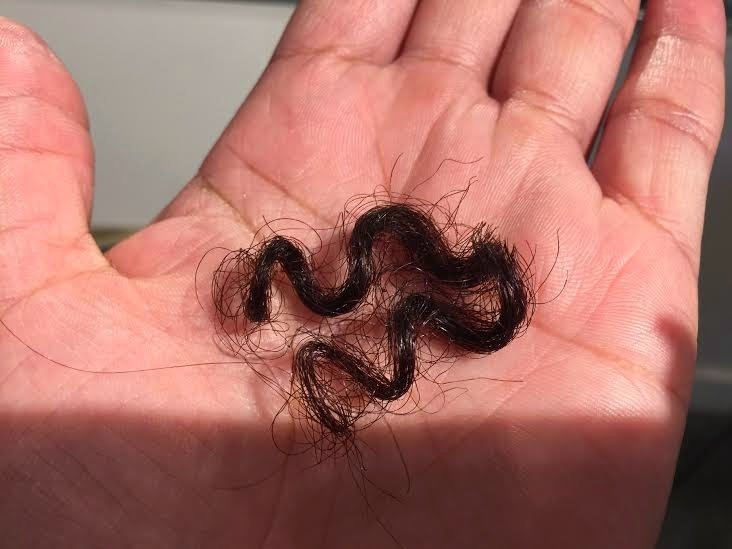 I left my old wash and go in when I went to the salon. I slept pineapple-less so that it wouldn't stretch --- I wanted them to see my true shape. When I left the salon, my hair was really defined but swelled up in the wind (which I did not mind AT ALL). 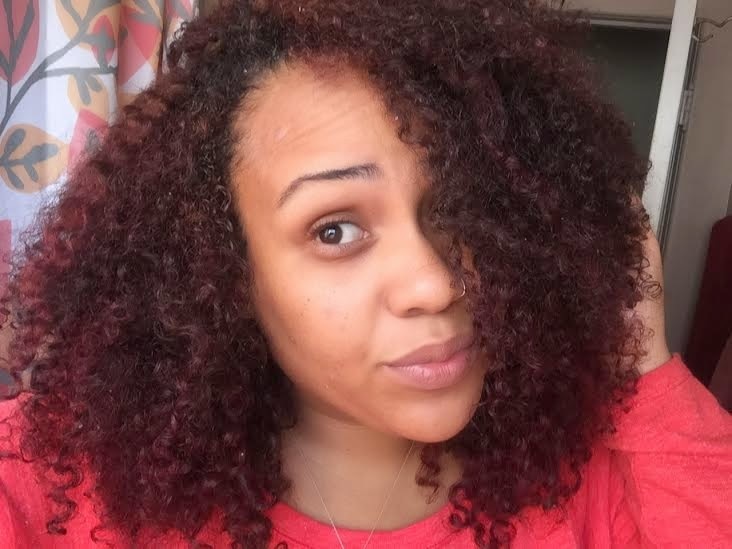 I always recommend re-doing the wash and go with your own products at home, because you can find yourself hating the cut --but then realize it's the products that you actually hated.